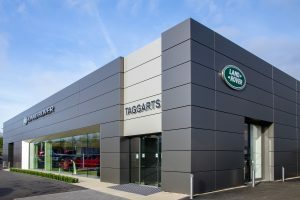 TAGGARTS has begun the next chapter in its prestigious history in Lanarkshire after opening a new £4m Land Rover dealership. The showroom is in the same location as the previous building on Windmillhill Street, Motherwell, but is far more than a refurbishment and is a complete rebuild of the site. The development follows a challenging year for the business, which suffered an arson attack during its stay at a nearby temporary site, resulting in 17 cars being damaged and an estimated loss of approximately £850,000. The incident left a huge number of challenges to overcome, including assuring customers in the area that it was business as usual. However, the team are more than ready to put the difficulties of last year behind them as they begin to welcome customers through the doors of the new 90,000 sq ft premises. 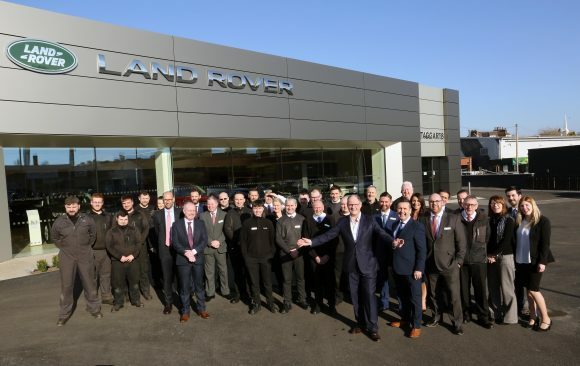 The new building has now been rebranded Taggarts Land Rover Lanarkshire to better represent its customer base and takes its cue from JLR’s Arch design concept. It has space to display nine new cars inside, with plans to develop adjacent land this summer so that the number of cars displayed outside can be doubled from 36 to 72. Customers will also benefit from 18 front-of-house parking bays, including electric vehicle charging points, with an additional 60 bays reserved for aftersales customers. Beyond that, the site has capacity for a further 120 vehicles to be stored. There are also 11 work bays in which to carry out aftercare work, with enough capacity to add a further three as the business grows. The site currently employs 54 members of staff, with plans to employ additional sales executives, valeters and showroom hosts. Taggarts Motor Group is one of the best-known names in the Scottish motor trade, having been founded in Motherwell in 1896 by James Taggart and his friend Robert McMillan as a cycle shop. It would eventually be acquired by Lookers in 2003. 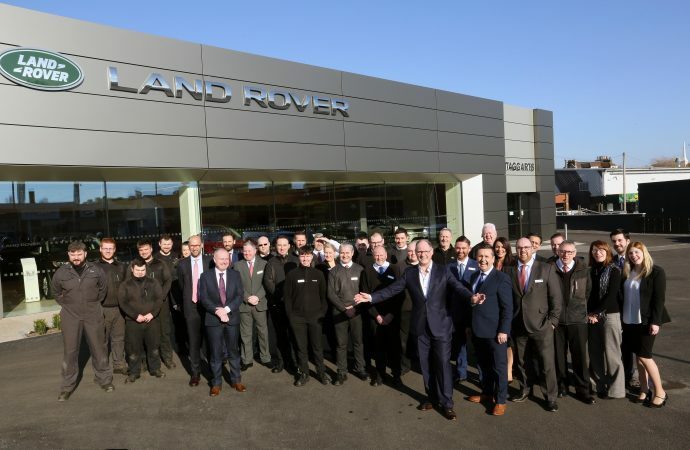 Andy Johnston, head of business at Taggarts Land Rover Lanarkshire, said: ‘Having worked through a challenging year, it is great to be able to move into our fantastic new home.